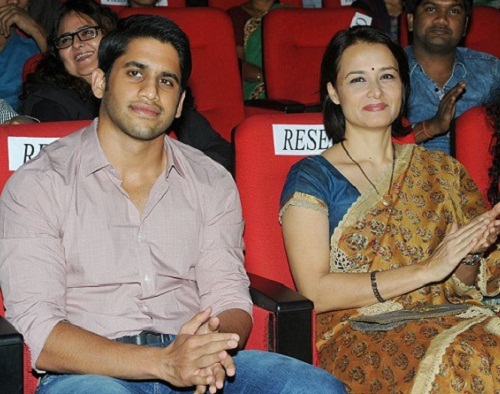 Amala Akkineni was born on 12th September 1968 in Kolkata, West Bengal state. 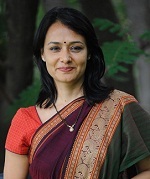 She attended a boarding school at Kalakshetra, Chennai, Tamil Nadu. She started to learn dancing since from the very early age and was trained under noted masters like Sharada Hoffman and Rukmini Devi Arundale. She joined the Kalakshetra troupe during her teen age and learned a lot as member of performing group. While performing for her troupe noted director T. Rajender was impressed by her dancing skills and offered her the lead role of Bharat Natyam dancer in his film “Mythili Yennai Kadali”. 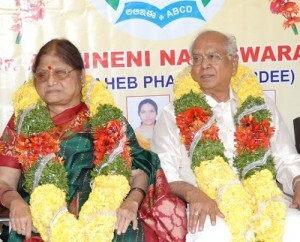 She subsequently appeared in numerous commercially successful films like Pushpaka Vimana opposite Kamal Haasan, Agni Natchathiram co-starring Prabhu, Karthik and Vijayakumar, Siva co-starring Akkineni Nagarjuna, J.D Chakravarthy, Murali Mohan and Kota Srinivasa Rao, among other films. After a very long gap she made her come back with Telugu film Life is Beautiful in 2012, she earned Filmfare Best Actress in Supporting Role Award for her performance in the film. She was born to an Irish mother and Bengali father. She has an elder brother and an elder sister. She is married to actor Akkineni Nagarjuna since 1992 and the couple gave birth to a son named Akhil Akkineni in 1994. 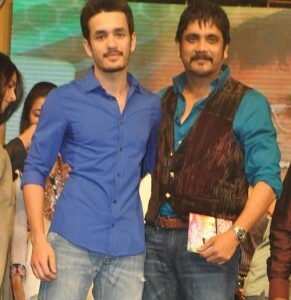 Telugu cinema legend Nageswara Rao Akkineni and Annapurna Akkineni are her in laws. Her husband Akkineni Nagarjuna was earlier married to Lakshmi Ramanaidu Daggubati and the couple gave birth to a son named Naga Chaitanya Akkineni.